Victor Vu is on a roll and seems to have no intention of slowing down. While Lôi Báo recently saw its North American premiere at Fantasia (full review here), his next offering, The Immortal, has already wrapped post-production and is eyeing an October 12 release date in Vietnam. 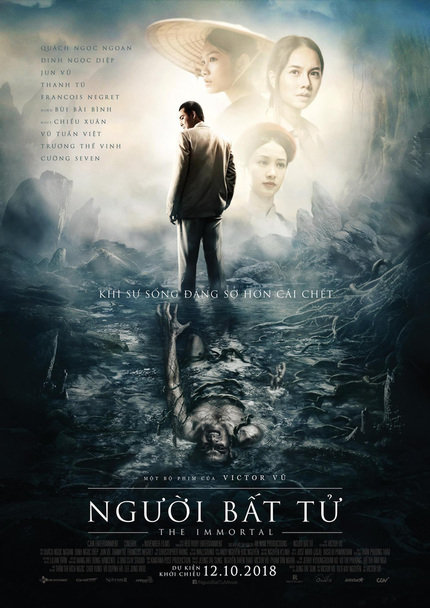 Vu’s latest leaves the head transplants for what they are and centers on Hung (Quach Ngoc Ngoan), a man who has lived for three centuries, and An (Dinh Ngoc Diep), whose dreams lure her to the mysterious cave that holds his secret. The trailer suggests a dash of drama, magic and and a life story that spans multiple periods. Since Vu is reteaming with Lôi Báo action producer Jason Ninh Cao and action director Vincent Wang it’s probably safe to assume the fight scenes will hit their mark. Check The Immortal’s full trailer below to get a sense of the scope and polished visuals.